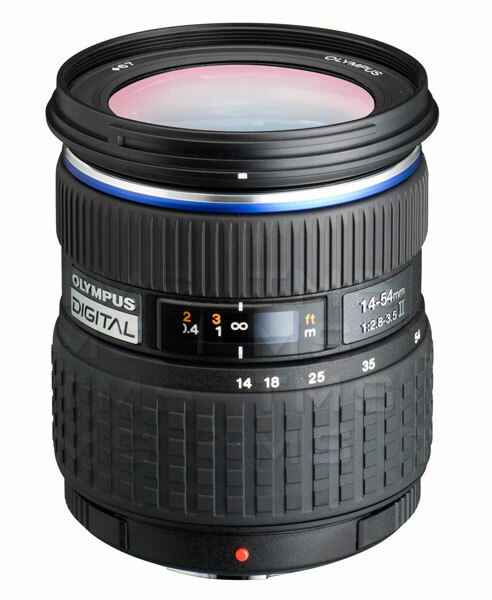 Developed as a successor to the ZUIKO DIGITAL 14–54mm F2.8–3.5 (introduced Oct. 2003), which itself earned high praise from advanced amateur and professional users, the new ZUIKO DIGITAL 14–54mm F2.8–3.5 II boasts High-Speed Imager AF support and a circular aperture mechanism for higher imaging performance. Thanks to its support for High-Speed Imager AF, enabling users to enjoy responsive AF Live View shooting, via the camera's LCD monitor. In addition, the lens supports creative photography with a new circular aperture mechanism, excellent close-up shooting capabilities, and a full complement of other performance features.